This last spring, I felt prompted to consider the question: what is a model of Indigenous womanhood? While I’ve been fortunate to have strong examples of Indigenous womanhood throughout my own life, certain events led me to contemplate the question more seriously. I proposed to Sheena Louise Roetman, Sovereign Bodies editor, an ongoing series spotlighting Native women role models and she agreed that it would be a positive benefit for the Sovereign Bodies readership. 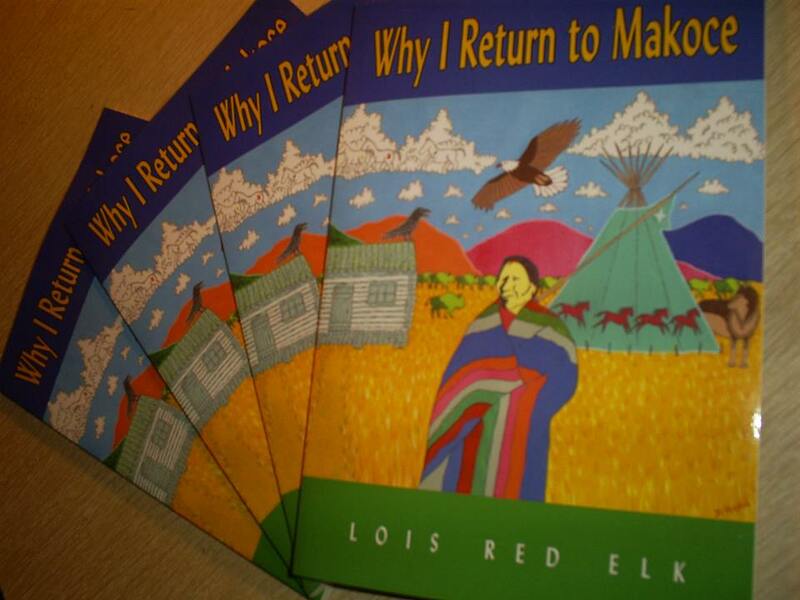 So, to launch the start of what I hope will be a series, I am pleased to introduce Lois Red Elk-Reed. The following BIO was taken with thanks from the Poetry Foundation webpage. Lois Red Elk-Reed is an enrolled member of the Fort Peck Sioux in Montana, with roots from the Isanti on her mother’s side and the Hunkpapa and Ihanktonwa from her father, who is descended from the Sitting Bull family. Raised in her traditional culture, she is a quill and bead worker, a traditional dancer and an advocate for cultural preservation and practice. Her poems, prose, and children’s stories have been published in many magazines and anthologies. Her first book, Our Blood Remembers (Many Voices Press, 2011) won the Best Non-Fiction award from Wordcraft Circle of Native Writers and Storytellers. Her latest book is Dragonfly Weather (Lost Horse Press, 2013), and Why I Return to Makoce (Many Voices Press, 2015). She and her husband – who is enrolled in Shawnee, Oklahoma – have been married for over 40 years. She is currently on the adjunct faculty at Fort Peck Community College in Montana, where she teaches cultural arts courses. I conducted my interview through email correspondence. I have been looking forward to sharing with the readers of Sovereign Bodies some of Lois’ experiences, her poetry, her acting career and her work as a culturalist for Fort Peck Community College. Tiffany Midge: Can you share some biographical information about yourself? 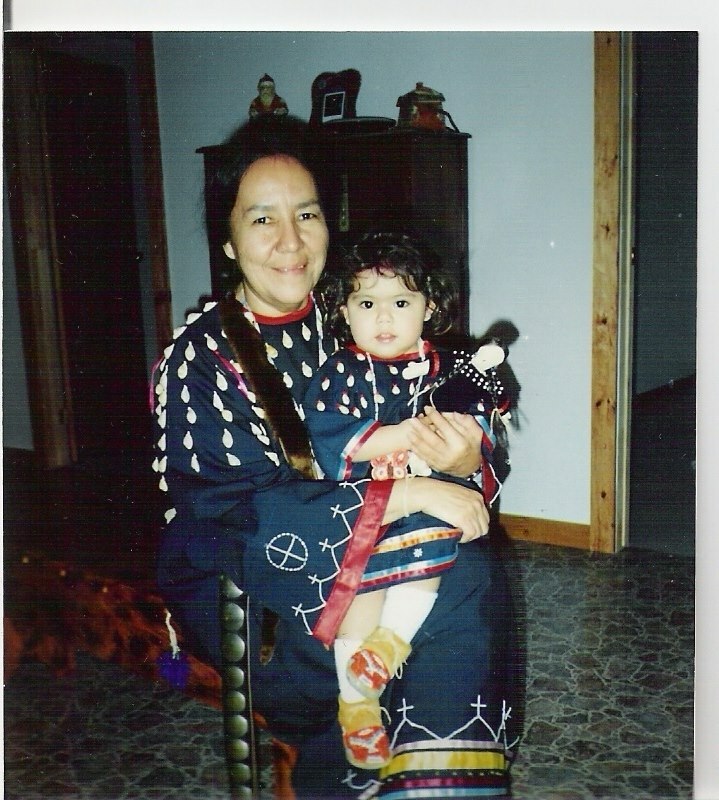 Lois Red Elk-Reed: The biographical information I want to share is culturally and spiritually important to me. It is a reflection of belief and my commitment to that belief. Two important parts of my life are my descendants – my children, grandchildren and great grand children. They are my ultimate blessing. For them I leave a promise that our L/N/Dakota culture will continue. The second most important fact in my biography is my 46-year marriage. My belief in marriage is one of the values imparted to me by my elders and culture – about two people making a commitment to love and care for each other for life. And, incidental on this Earth walk, culture guided me through so many exciting, purposeful adventures – teaching, acting, traveling, writing and the list will continue as long as I live. TM: I am fascinated by your experiences working in Hollywood – what inspired you to pursue acting? LRER: My experience working in Hollywood has fascinated me also. I didn’t pursue acting. The right to represent my cultural self and my beautiful people led me to the movie and television camera – acting pursued me. The way I see acting is through my cultural lens viewing the storytelling capabilities and traditions of my grandmothers. As a child, whenever our family went to an event, the first people I would look for were my grandmas. I could usually find them by the crowd that surrounded them – people laughing and watching as Grandma relayed a story with so much believability, using her hands, her entire body, descriptive words, tone and her expressive face. I would sit and watch her and later retell the story in the same way. She was a person who could be in the heart and energy of any character and in the moment of any life experience. I originally moved to Los Angeles to babysit for my sister. I also knew that L.A. was a relocation center for over 60,000 Native people. One day I was volunteering at the L.A. Indian Center when I heard about an Indian Actors Workshop operated by Jay Silverheels. I joined the workshop, which offered professional teaching and guidance by some of Hollywood’s most well known – Jonathan Winters, Robert Lansing and the Lee Strasberg Studio. After being cast in a co-starring role in The Virginian, I used my entire paycheck to pay for my Screen Actors Guild Card, got myself an agent and worked for 35 years. TM: What are your most memorable and/or favorite roles? TM: Do you have any funny/interesting anecdotes about working with famous celebrities you’d like to share? TM: You have been publishing your collections of poetry the last few years, three collections since 2011. “Our Blood Remembers,” published by Many Voices Press of Flathead Valley Community College, “Dragonfly Weather,” published by Lost Horse Press, and “Why I Return to Makoce,” also available through Many Voices Press. How would you characterize your work? LRER: My writings reflect my life as a cultural human being trying very hard to walk the Red Road in an intruding culture that has no understanding of being human, or being related to the Earth and all that she provides us. TM: Tell me about your last collection “Why I Return to Makoce.” What does “Makoce” mean? LRER: “Makoce” pertains to a special D/Lakota region. There is no English equivalent. The name “Makoce” comes from the Dakota word for earth, maka. The name refers to the land as mother, family, all that is in the world, and the interdependency of all living things. I find that in the L/Dakota culture and language there are solutions to every problem we may have in our lives. Also all human fulfillment and joy is encoded into this culture of the Earth. This is why I return to the motherland over and over. The cover art was created by my oldest son, Dustin N. Reed, and shares the simplicity and comfort in knowing an Earth-based culture. The grandmother image is our great grandmother who shared life lessons in cultural stories of animals, spiritual events and of Earth deities. TM: Which poets do you draw inspiration from? Do you have a favorite poet?LRER: Poets that I draw inspiration from are Anne Sexton, Marnie Walsh, Scott Momaday and Stanley Kunitz. My favorite poets are Roberta Hill, Adrian C. Louis, Wendy Rose and Ray Young Bear.TM: What are you working on right now?LRER: Right now I’m working on three more books of poetry. Inspiring me are conversations with my brother (who passed to the spirit world), also more lessons from my grandmothers and stories from my father.TM: Can you tell me a little bit about your work as a culturalist for Fort Peck Community College?LRER: I created my position, as a culturalist, at FPCC. The director at the time was a childhood friend of my brother and a friend to my mother, so he pretty much knew that the courses I wanted to develop for the college would be an asset to the curriculum. Also, the courses were not being offered – such as Traditional Plants, Animals Significant to Culture, Traditional Domestic Arts, The Culture of Quillwork, etc. TM: How long have you been an instructor there? LRER: I’ve been teaching as an adjunct off and on for 15 years. TM: What is your favorite subject to teach?LRER: Traditional Plants: Food, Medicine and Trees, because it’s a survival course. One takes this course and they can survive during the apocalypse. TM: How do you define the term “culturalist?”LRER: I revived this word because it identifies me. My Dakota/Lakota Culture directs and guides me in my daily life and in all the decisions I make – physically, spiritually, mentally, socially, as far as family, relationships and the connections to the universe and the unknown. TM: Do you teach traditional language classes also? LRER: Yes. I have taught Beginning Nakota at the high school level and Beginning Dakota at the community college. Most of the time I’m teaching short sentences at the grade school level. TM: This brings me to the last part of our interview. I was inspired to start what I hope will be an ongoing series featuring admirable Native women. Tell me, what characteristics do you consider to fit a “model of Indigenous womanhood?”LRER: Being Indigenous has to do with blood and language. Your blood is your birthright and your language guides you. Indigenous blood carries genetics, memory, ghost and spirit. The Indigenous language is the same language as the universe, Earth, everything that grows on the Earth and all animals. Language encodes our ceremonies. It is sacred. To be Indigenous is a lifetime experience and one has to be responsible to their life. One cannot drop in and out of their Indigenous life anytime they wish. Neither can the language be used and misused for convenience or be exploited. TM: Describe someone from your own life you looked to as a model of Indigenous womanhood? LRER: My mother, aunts, grandmothers, myself and now some of my relatives and friends. Flathead Valley Community College, 777 Grandview Drive, Kalispell, Montana, 59901. I’ll leave you with Lois’ poem To Come Back. to who you were meant to be. In that time.